Packing is July 17th through the first day of school. 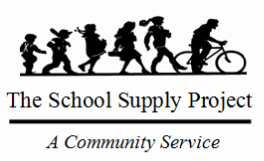 If you would like to volunteer or donate, contact us at operations@theschoolsupplyproject.org. ​July TBD - start of packing.